Ancylometes bogotensis (Ctenidae). 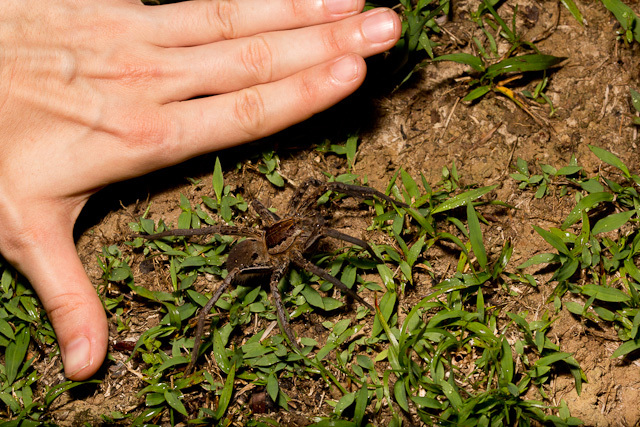 This is one species featured, with Catherine’s hand for a size reference. This entry was posted on November 29, 2013, in Uncategorized. Bookmark the permalink. ← A new Spider Blog!